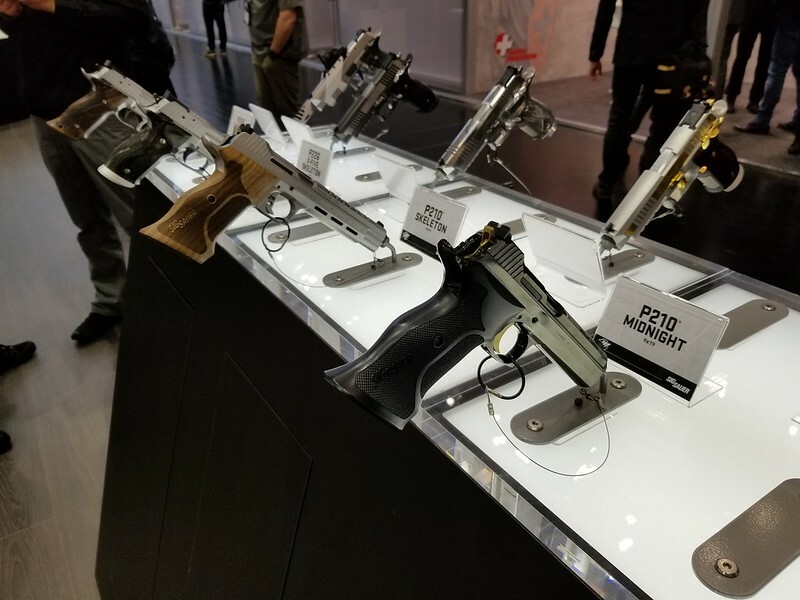 SIGforum.com Main Page SIG Pistols Sig FINALLY releases new P210A - the "Standard"
Just saw this post from Osage. MSRP is *MAYBE* only $1250, and it looks to be the exact same as the Target model but standard contrast sights and without the big grips that many don't like! I'm glad they finally put out a new model and are still developing the P210A line. They have a winner here. EDIT 1: MSRP still unknown per OCG below. EDIT 2: I see it also doesn't have front slide serrations. We don't actually know what MSRP is. It wasn't provided to us yet. The price we posted was a rough estimate. Lame. Really. Folks have been waiting for the Supertarget (6") and the Carry (4 - 4.4"), not a cosmetically changed 5" gun. ^^^^^ Couldn’t agree more. Pass. Eh, I dunno. People carry Government 1911s, so why not a 5" P210? I can see the reasoning behind it. Change the grips and sights, and, one hopes, the trigger pull a bit, and *bam*: Target gun becomes carry gun. Easy peasy. The first P210 that attracts my interest. I'm still holding out for the Carry, myself, but it'll be interesting to see where pricing goes on the Standard. 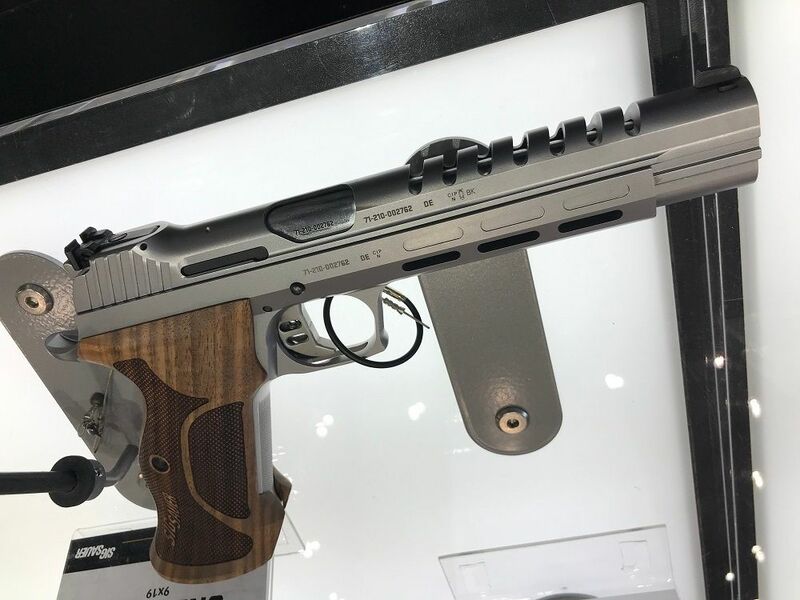 If Osage's estimate is reasonably accurate (and yes, that's just Osage's estimate), then street prices might look pretty good - especially if the basis of comparison is one of the many 9mm 1911s out there. ETA: Huh - not really sure what to make of this but...definitely no word on the Carry yet, and, per CS, "MAP, which is what the dealers get, is supposed to be $1099". I thought MAP was sorta like the MSRP, only SIG will get pissed if dealers don't retail at that price? I probably won’t be able to resist the carry version. I can pass on this one. Hey Q, see anything here that you like? There are two P210 6" in the back row. I took this pic at the Sig Sauer booth at IWA this year. There were a number of interesting pistols there this year. Merc50, you forgot this one, which I really want, the Skeleton P210. Pics were sent to me by member 220parts, who also was there. The 6" Super Target German is already in my inventory. 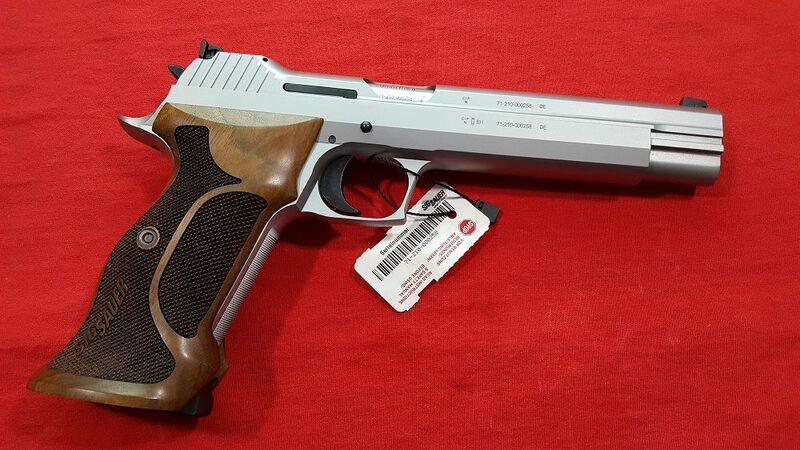 I really want SIG USA to come out with their own Supertarget, so that I can do a comparative evaluation with the German 6" Super Target and the long slide Swiss P210-5LS. I like that. If that price is close, I'll probably jump at one eventually. My pic of the P210 Skelton shows it beside the P210 Midnight. But, the quality of my pics don't compare to the ones you have posted. Guess I had to wipe the drool off my camera phone a few times. Yeah, that was my expression, too. I know some purists poo poo at the butchering of the classic, but I love it. Same old same old is boring. Wow that skeleton is wicked. Should end up in the movies! The grips on the Target model seemed to be holding a lot of people back. Aftermarket grips are finally available, but you'd have to buy the pistol for $1450 plus $100+ for smaller grips, and it's unlikely you'd be able to sell the take-offs to recoup some cash. 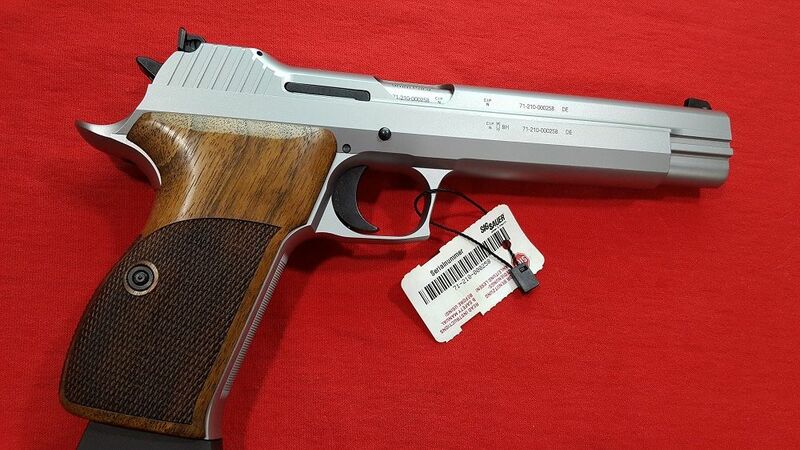 The ability to get a P210 for *maybe* $1250 sounds pretty awesome to me. Also, I recall seeing the Target model briefly for ~$1250, so perhaps a good sale price would put this one closer to $1100-ish which would be amazing. Although, the lower price will increase demand so this is highly unlikely. 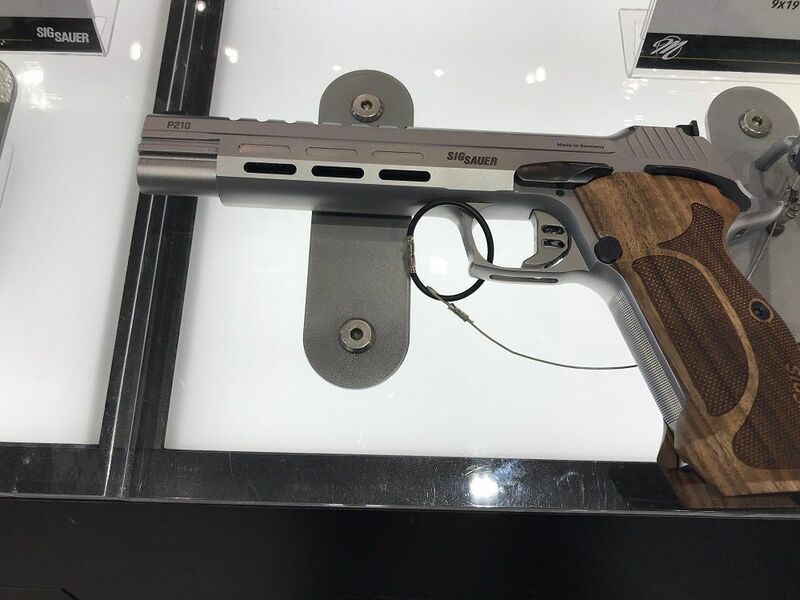 I won't be buying this model as I'm also in the camp that is holding out for a Supertarget and possibly the Carry depending on specs, but I'm glad Sig is expanding the P210A line. ensigmatic: Regarding the trigger, the spec sheet says "target grade trigger" which is the same way it's listed on the Target model, so I wouldn't get your hopes up. This is the model I have been waiting for as the bigger grip was never attractive to me. A few hundred bucks less is great too! There's no question it looks bitchin' cool. The "butchering of a classic" wouldn't be the show-stopper for me. The price would. Hell, I'm still kind of surprised at myself for popping for the P210A Target, TBH. Wow. That trigger is way too light for a carry piece, IMHO. 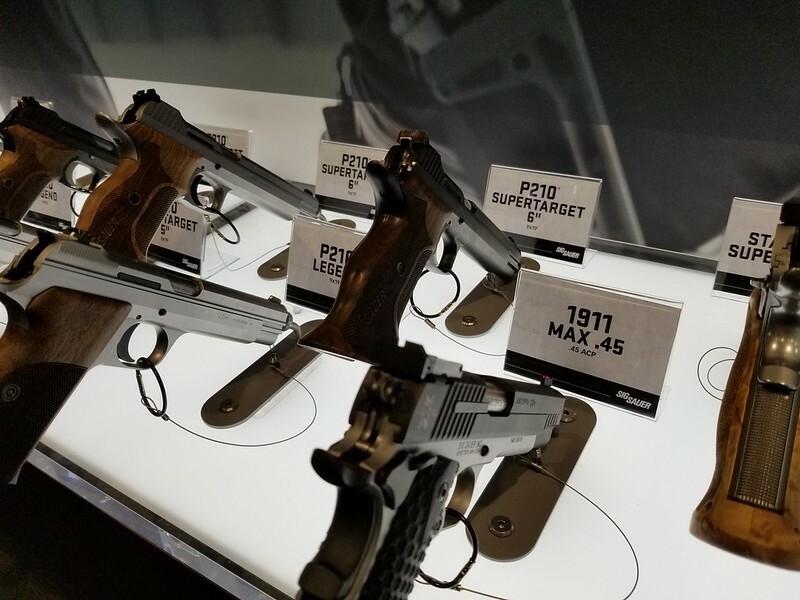 Quick Reply to: Sig FINALLY releases new P210A - the "Standard"